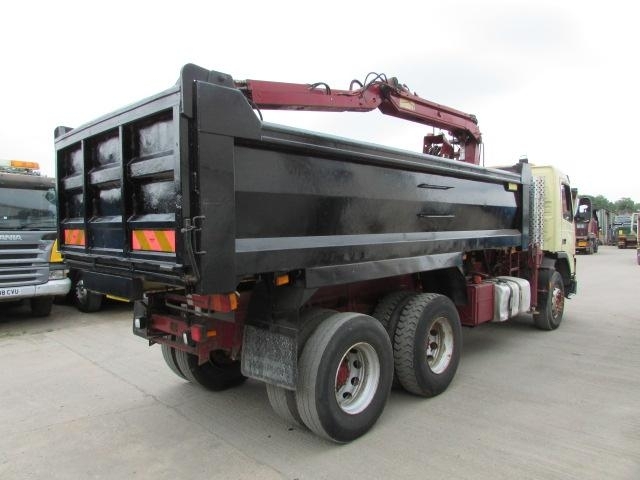 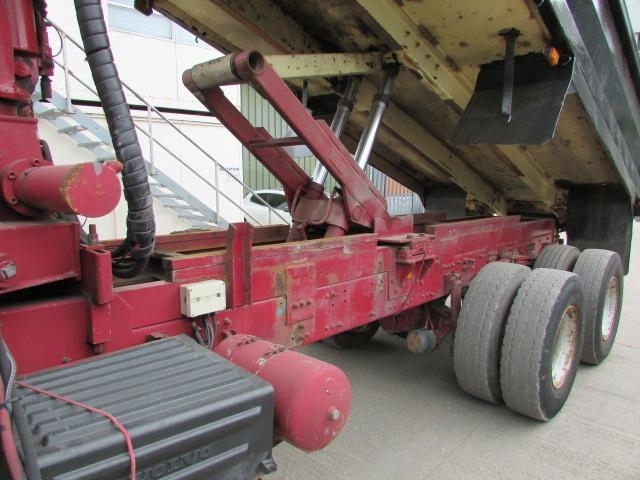 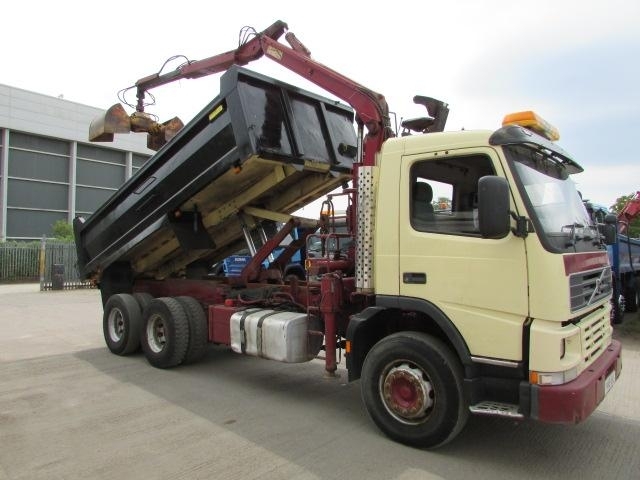 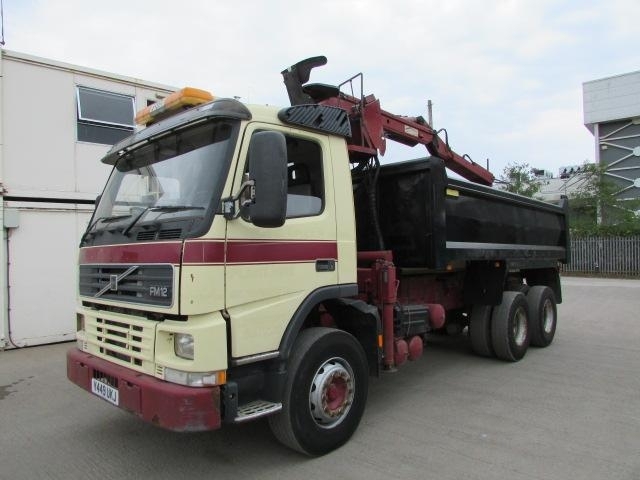 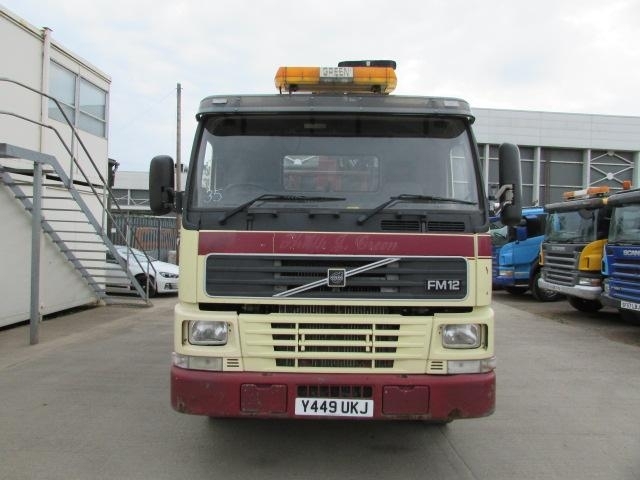 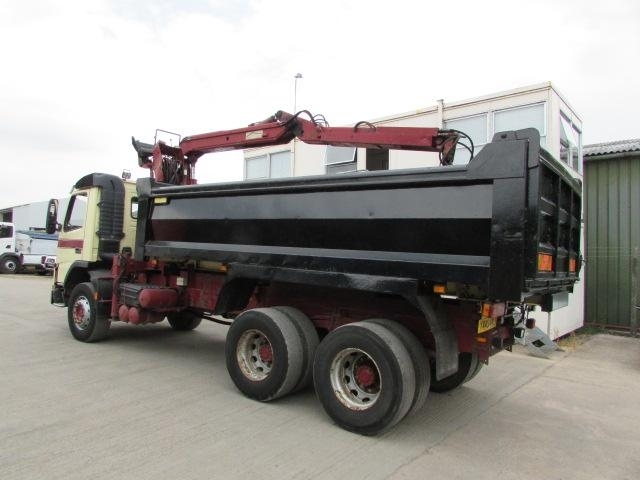 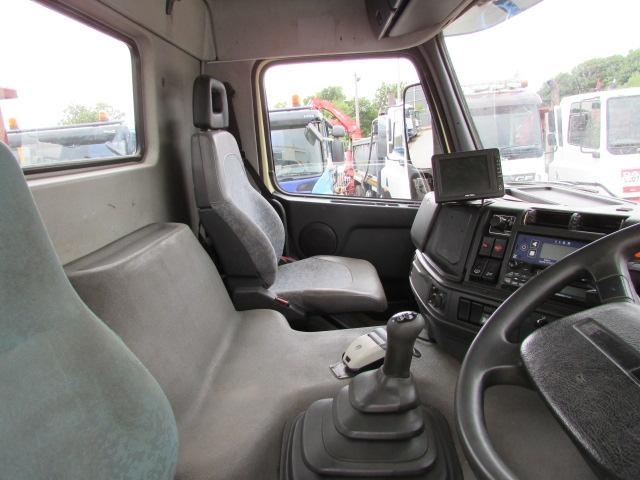 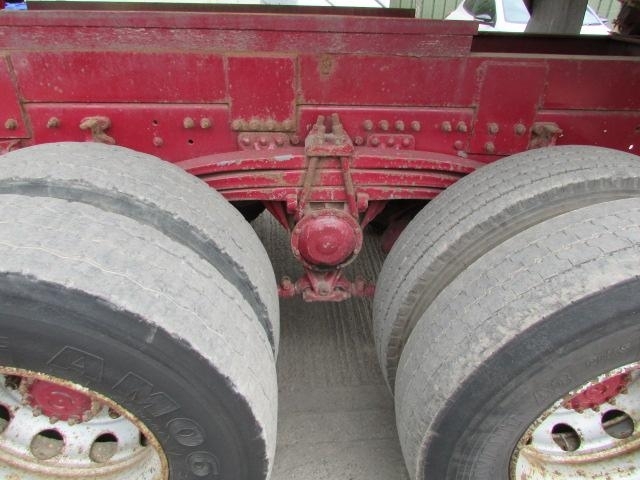 2001, Volvo FM12 340 6x4 Steel body tipper with grab. 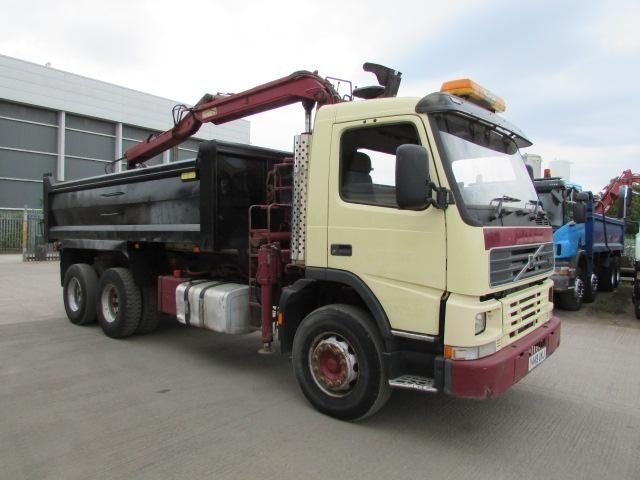 26 Tonnes, Double drive on springs, 8 Speed manual gearbox, HMF extending crane with clamshell bucket, Thompson steel body, On board weigher. 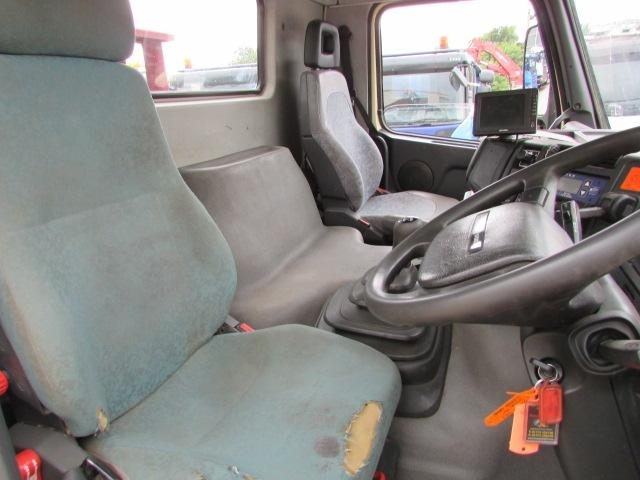 Clock reads:Mileage: 189, 657Km.